It's Facebook Fridays! for July 17, 2015, and we want to help you free yourself from curses, jinxes, and crossed conditions! 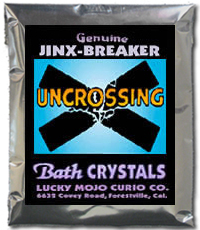 The Lucky Mojo Curio Company is hosting a drawing to give away 3 Uncrossing Spiritual Supply package prizes. 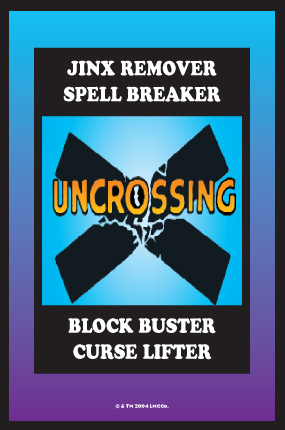 This week the prizes include 3 packs composed of the following items: 1 Uncrossing blessed and dressed Vigil Candle, 1 packet of Uncrossing Bath Crystals, and 1 packet of Uncrossing Incense Powders. We have a winner! In fact, we have 3 lucky winners! Our Facebook Fridays! winners for July 17, 2015 are: Stephanie Wells, Jenn Blond, and Marcos Garcia.